10 track CD in clear plastic case with artwork by The Creative Consortium. Price includes first class postage and packing. 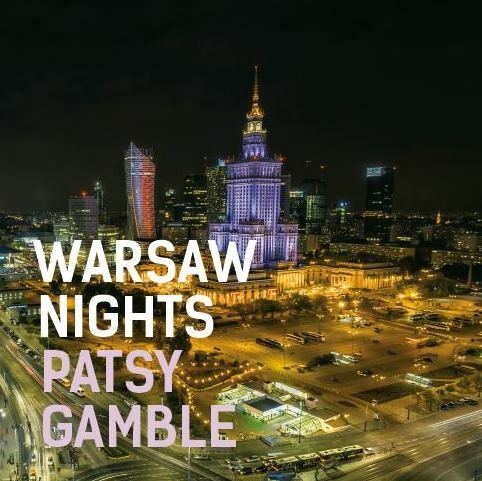 WARSAW NIGHTS is a 10 track CD finished in October 2015, containing original material written by Patsy Gamble.This album was recorded in Poland and UK with Patsy on vocals, alto and tenor saxes, Jacek Prokopowicz on keyboards, Lukasz Gorczyca on bass and Roy Adams on drums with special guest guitarist Muddy Manninen (from Wishbone Ash) playing guitar on 4 tracks.